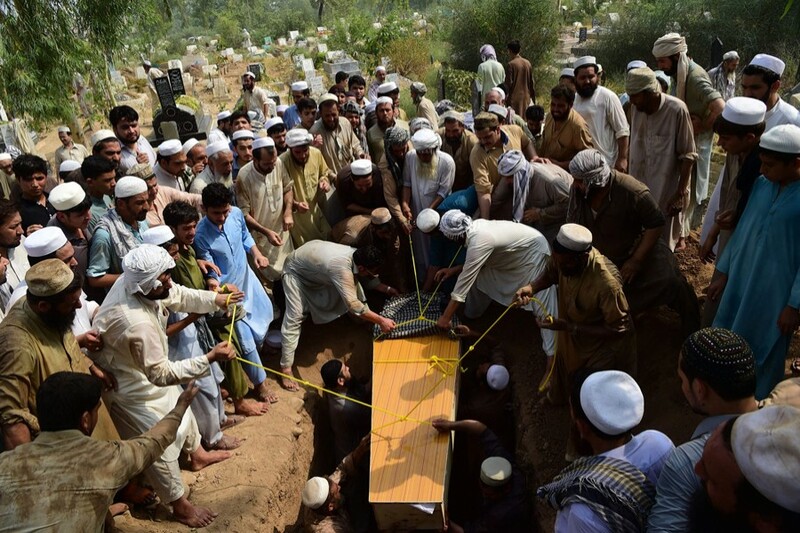 PESHAWAR, July 11 (Agencies): A suicide bomber blew himself up at a rally by an anti-Taliban political party in Pakistan, killing 20 people, including a candidate in July 25 elections, police and hospital officials said on Wednesday. Awami National Party (ANP) candidate Haroon Bilour was killed in the late Tuesday blast in the northwestern city of Peshawar. His father, senior ANP leader Bashir Bilour, was killed in a suicide bombing in late 2012, in the run-up to Pakistan's last election. "The death toll from last night's suicide attack has reached 20 while we have 65 injured, some of them in critical condition," Zulfiqar Ali Babakhel, a spokesman for Peshawar's main Lady Reading Hospital, told Reuters. Last month, a US drone strike killed Pakistani Taliban chief Mullah Fazlullah in eastern Afghanistan. Fazlullah had claimed responsibility for most of the attacks against the ANP before the 2013 election on the grounds that it had supported an army offensive against the militants. The Pakistani Taliban on Wednesday claimed responsibility for an overnight suicide bombing at a rally that killed politician and 20 others before nationwide elections.